I am a former grammar hater, certainly as a student, but even as a beginning teacher. I simply didn't see the need to learn about past imperfect participial possessives (I know there's no such thing) and I dreaded the fat grammar book from which we dutifully copied every sentence, underlining or circling the grammar du jour. Why in Math could we do odd or even numbered problems, but never in grammar? As I continued to teach, however, the need for grammar instruction became apparent. The fact is, teachers and students require a common lexicon when discussing the components of reading and writing. What part of speech does the author rely upon to describe how his characters speak? How would you describe Maria when we first meet her? What adjectives describe her by the story's end? 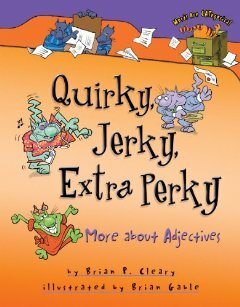 If your writing uses the same nouns over and over, which synonyms could you substitute for those words in order to create greater sentence variety? "The eggs were eaten by the snake" is written in the passive voice; how could we revise this sentence to create active voice? This paragraph tells the reader that Sam completes all the chores her grandfather assigns, but what do the adverbs tell us about how she completed them? In their own conversations with peers, students who understand grammatical terms are more likely to suggest and implement recommendations stated in a common language. The comment, "You need to move your participial phrase closer to the noun it describes," is certainly a greater help than, "This sentence sounds weird." So for some time I tried teaching grammar solely in context of reading and writing, with no discrete lessons or practice at all. I would occasionally pull a Ruth Heller book off the shelf and share that as well, but this approach was hit and miss at best, regardless of the awesomeness of Ruth Heller's books. 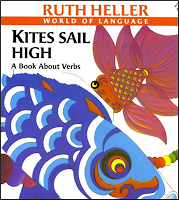 In later years I would attempt to drag students though a formal "diet" of grammar, beginning with nouns, moving on to verbs, then adjectives, and so on, but I noticed a real disconnect. Employing some Brian Cleary titles to liven things up certainly helped, and my students would even go back to those books as a reference source. And that's when it hit me: my students were much more apt to care about, and even seek, grammar help when they immediately needed it. I therefore decided to radically change my approach to grammar, and create learning situations which required that students know grammatical concepts in order to be successful. Whereas I once believed I could sit by the pool all summer, eating Bon-bons and planning out grammar units for the entire year, I now realized I would need language instruction to be much more reflexive and reflective, based upon student needs for both remediation and growth. In essence, then, I was jumping back to my original desire to teach grammar within context of authentic reading and writing, with the realization that discrete, focused lessons with immediate, dedicated practice were a "necessary evil." 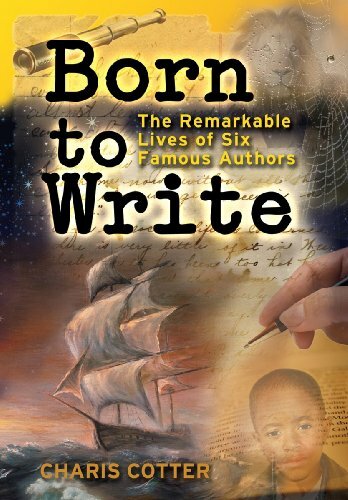 But even these lessons became enjoyable and immensely productive for both the teacher and students because they were rooted in our needs as writers and readers. We wanted to learn how authors used language to achieve their goals, and how we could do the same. I discovered these just recently, and how I had never seen them before, I do not know. Like Heller's and Cleary's books, these titles provide ample examples in context, so they can serve as a handy reference for students. Unlike those other two series, however, Walton's books are absolutely narrative in nature, which is to say, they are story driven. They provide an enjoyable, purposeful context for the use of the grammatical conventions. If you don't believe me, how about the expert recommendation of a voracious picture book reader? Mackenzie, my seven year-old, loves to take books to bed. One night she called down, "Hey, Dad! This book is really good! It's funny!" She was referring to Why the Banana Split, which I hadn't even read yet. The following day she couldn't find it, so she read the other seven books instead! Did she know she was getting a lesson in grammar? No. For her, these colorful, easy to read books were purely story. 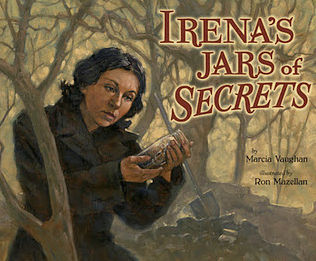 But as she reread in the car a day later, she began to make observations about the text. 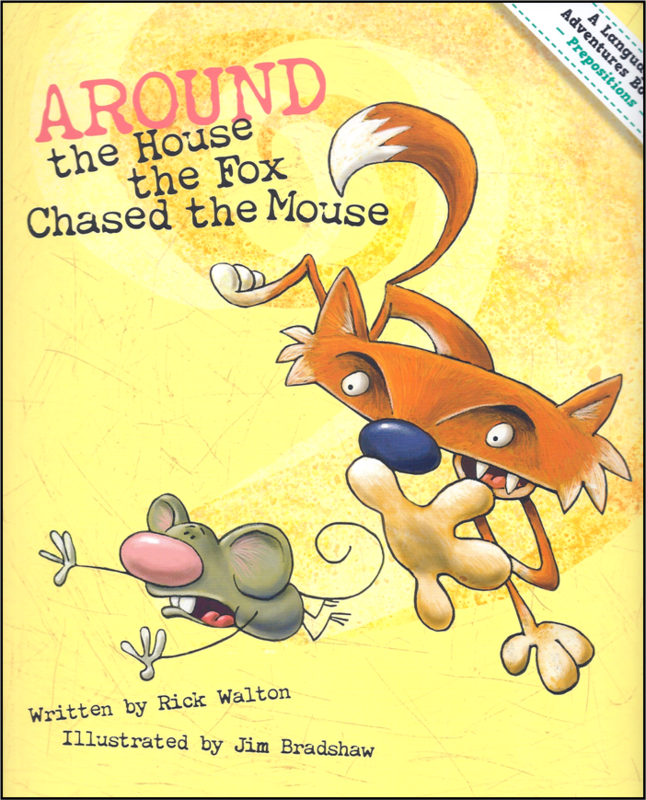 In speaking about Around the House the Fox Chased the Mouse, for example, she said, "Do you know that every page tells you where the fox and mouse ran? There's always a word that's bigger than the rest, and then the picture helps you figure out the other words if you can't read them." Wow. This kid should do a commercial. So while it's difficult to give the books higher praise than that, I will point out that the illustrations are fabulous. What's interesting is that Gibbs Smith selected several artists, rather than just one, to illustrate the series. At first that bugged me, but as I checked out the styles of Jim Bradshaw, Mike and Carl Gordon, Jimmy Holder, Chris McAllister, Greg Hally, and Julie Olson, I began to appreciate that each artist brought a unique vision to the title they illustrated. 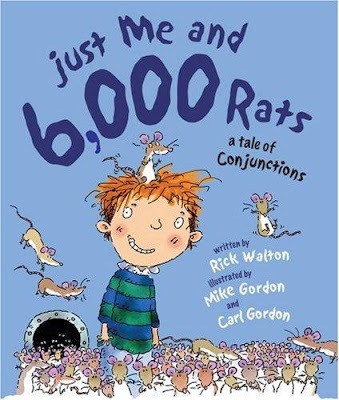 I can't picture anyone but Jim Bradshaw creating such funky, animated critters for Around the House the Fox Chased the Mouse , or Mike Gordon and Carl Gordon for the tongue-in-cheek humor of Just Me and 6,000 Rats . I should also point out that the newly revised paperback editions of this series are labeled as "New Educational Editions," and each contains learning activities, definitions, and a reproducible related to the book's topics (earlier hardcover library editions may not contain these). 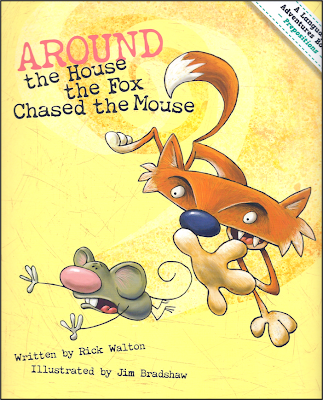 Answer keys and additional activities can be accessed at author Rick Walton's website. 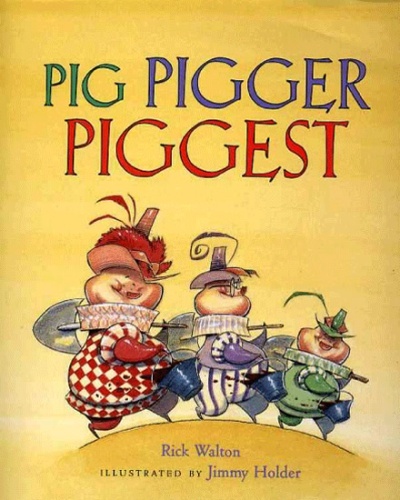 Rick offers some wonderful language learning activities there (your lesson plan for next week might be waiting for you there), as well as an amazing assortment of ideas for using his picture books (over fifty in print!). 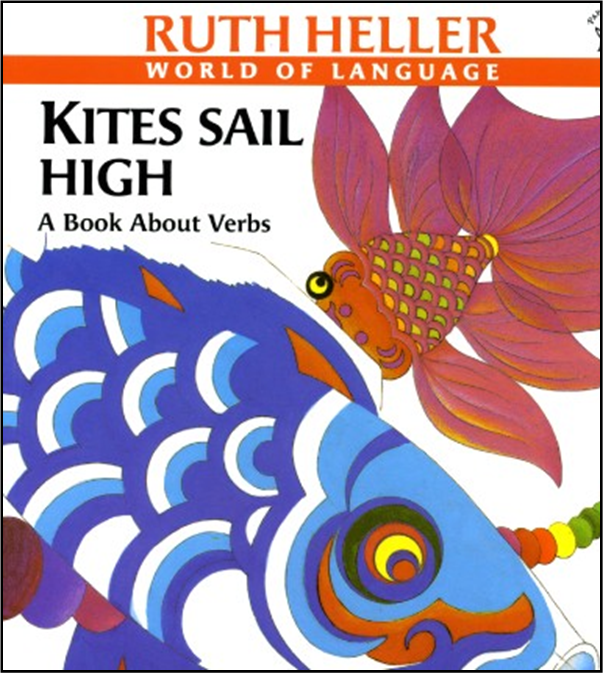 When I shared this series of "stealth" grammar books with the ELL teachers at the NJTESOL Annual Conference here in New Jersey, they were genuinely impressed by the combination of images, narrative, and practical applications of grammar. Check them out for yourself, and I think you'll feel the same way! 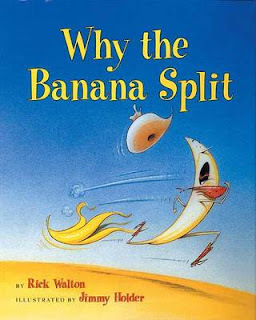 It wouldn't be one of my marathon posts if I didn't recommend some terrific online extensions for the picture books I discussed. Below are just a few of the sites I've used in the classroom; do share others you've enjoyed as well! These games provide excellent review of all parts of speech. Students shouldn't worry if they miss a few; some are intended to be tough! Not as fun-looking as Grammaropolis, but better organized. Here you can choose which grammar or usage practice you'd like to focus upon. The Notes section of each quiz provides excellent feedback and additional information about the grammar concepts being assessed. Throw your deadly ninja stars at the chosen parts of speech. 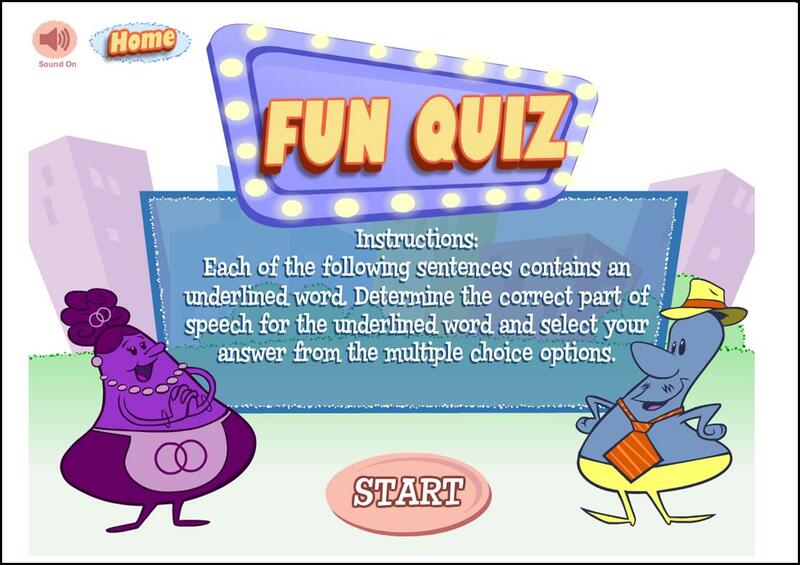 Grammar Blast from Houghton Mifflin English provides short, self-checking exercises for grades 2 through 5. Nice for quick checks! 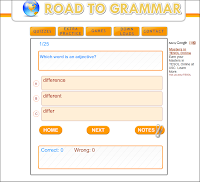 You can also access Grammar Blast for grades 6-8. Students love Mad Libs, and this is a cool, interactive version of that game. In order or students to be successful, however, they'll need some knowledge of parts of speech. 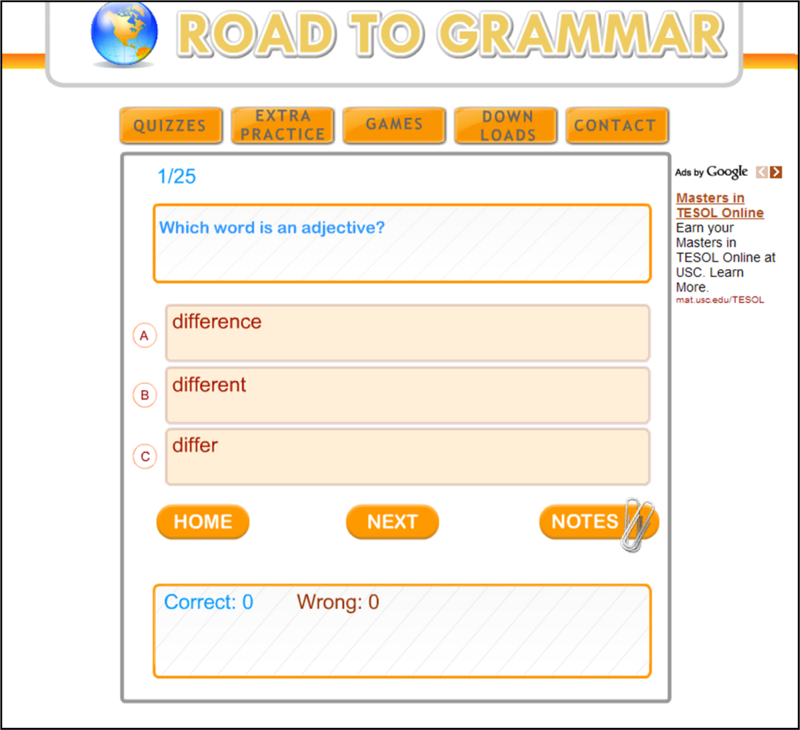 Grammar Bytes provides online interactive practice, plus handouts which can be downloaded. Teachers will need to explore this site before unleashing students. This site isn't pretty, but it does contain some solid, focused GUM (grammar, usage, mechanics) exercises. Some are available only to subscribed members.